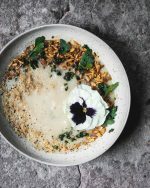 These days the vegan hot spots are popping up left and right. This to me is a positive sign, it shows that veganism has never been this popular and that it’s popularity is starting to grow. Which brings me to another vegan hot spot that just recently opened it’s doors. 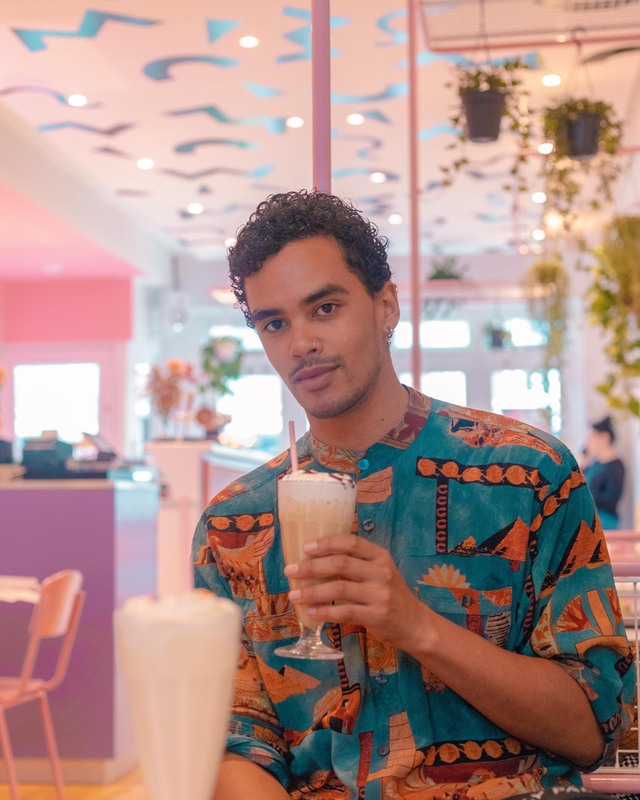 Deer Mama is Amsterdams new vegan Mylk and Burger bar located on the Ceintuurbaan in the pijp. When entering this location and having a glimpse at the menu you soon notice that it’s inspired by the American diners. With a variety of vegan Milkshakes and Burgers and lots more to choose from. Like vegan bitterballen, a delicious miso glazed plantain and a peanut butter brownie cake that I will never forget. Oh and did I mention that they have vegan soft serve? 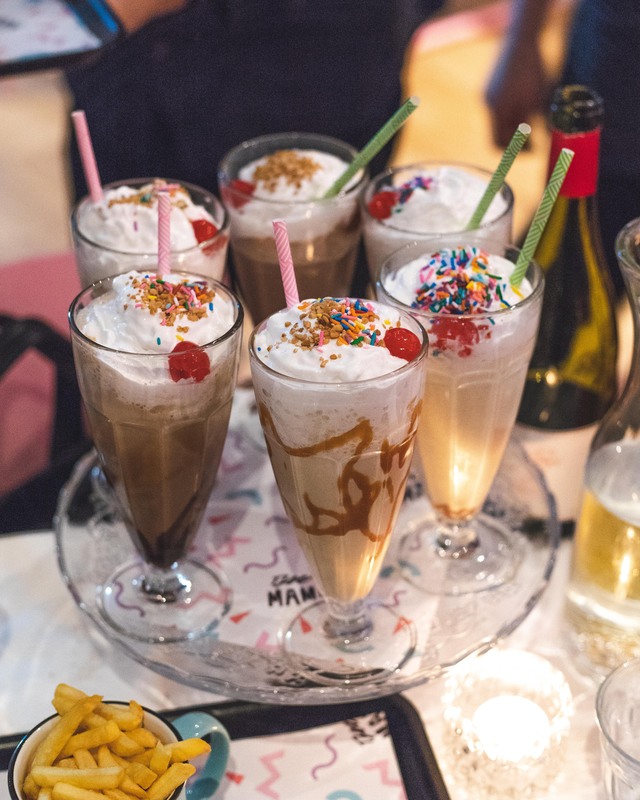 Apart from all the food we also got some lovely wine pairings and boozy mylkshakes. Some of my favourite items were the fried cauliflower, bbq plantain, peanut butter brownies cake and the funky rice noodles. Oh and their sweet potato fries are crunchy. There’s nothing that turns me off like a soft and sloppy sweet potato fry, so I was pleased to bite into a crisp fry. Another thing I find important is good service. The staff was super friendly and they had some great recommendations. 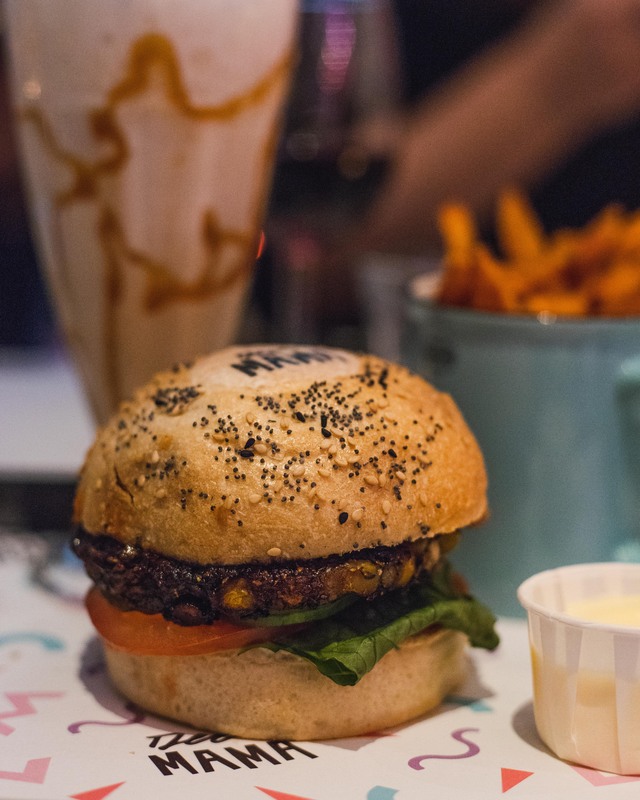 So next time you’re looking for a nice place to eat your favourite vegan classics and guilty pleasures be sure to hit up Deer Mama. And don’t forget to eat one of those peanut butter brownie cakes for me. And stay tuned while we explore new hot spots that will be posted on the blog very soon. Be sure to check the adventures on the Instagram stories! It really sounds like a great place to be and eat! Sounds like a great place to be and eat!